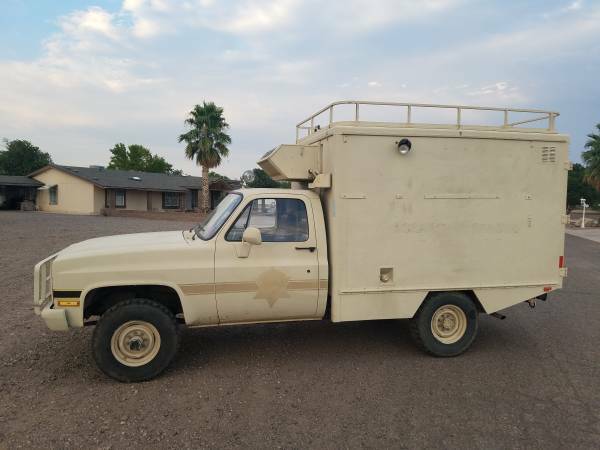 Found this interesting 1985 Chevy M1010 4x4 Military Ambulance being offered for sale at Craigslist for $8000 located in Safford, Arizona. Described as excellent condition with its original 6.2 diesel mated by automatic trans with 10680 miles shown at odometer. It could be a perfect bone to convert into RV. 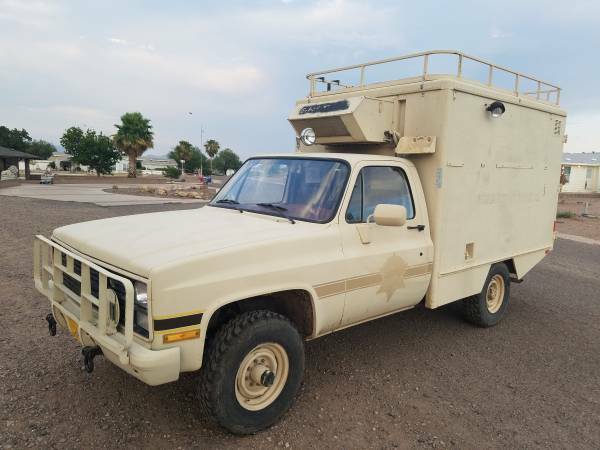 Very good for overland, hunting and camping rig purpose. 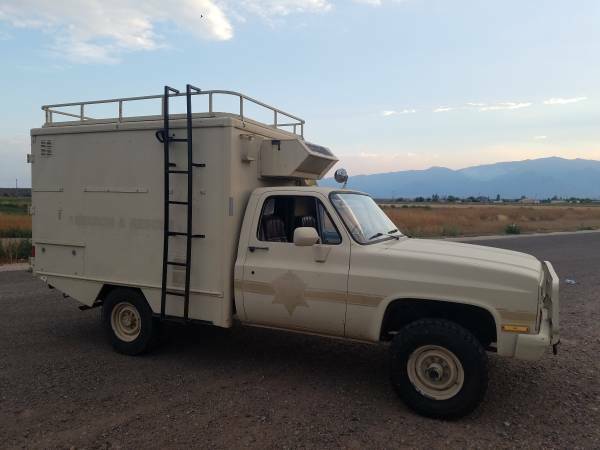 With much regret I am putting my hunting rig/ ex-military ambulance up for sale. I have owned this rig for about 5 years and enjoyed every second of it. 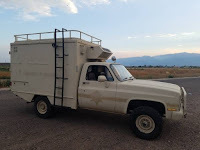 Ive used this rig for multiple elk and deer hunting trips as well as several camping trip with my kids. Sleeps 4+. Bottom 2 beds can be converted to one big king size bed (im a big guy) if you wish. So in theory, you could pack 1 or 2 adults and 4 small kids. Or 4 adults comfortably. HD metal Shelves have been added for storage as well as plenty of storage under the bottom 2 beds on each side of the cabin. 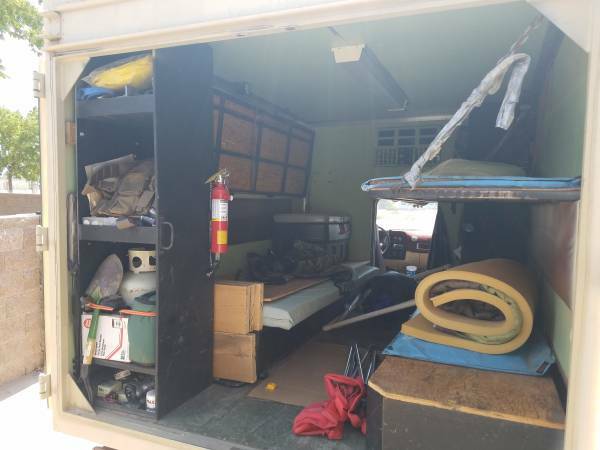 I had it packed with all the camping gear I could use, and still had plenty of room and easy to get to. Ive made several trips up to Alpine, all over the white mountains, East New Mexico, and Mt. Graham which is 9000'+ in elevation. Rear cabin is insulated and very comfortable. I always kept it stocked with my gear as a back up bug out rig. Has the original 6.2 diesel. TH400 HD automatic transmission, NP 208 Tranfser case, and heavy duty axles. Dana 60 front, 14 bolt rear with 4:56 gears and a Detroit locker in the rear. All factory drivetrain. Built on a heavy duty 1 1/4 Ton Chassis/suspension. Truck runs perfect and starts in any weather condition AZ has to offer. New AC60 glow plugs last year. New glow plug controller. New updated glow plug controller card purchased from CUCV.com. 2 new group 31 HD 1000 CCA batteries from Napa. Ive done the "doghead relay mod" which is involves replacing the factory troublesome relay with a much heavier duty relay. 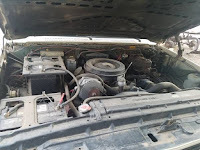 Ive also removed the very troublesome DUVAC module and replaced it with a bulletproof reliable charging system, which involves swapping one of the 24v alternators with a 12v alternator. 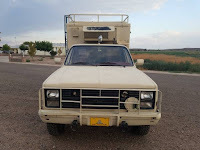 The truck is still 24v, but does not have the reliability issues the factory original setup can have. New tires were installed 2 years ago before my unit 27 elk hunt, so they have about 800 miles on them. 235-85-16 10ply's. 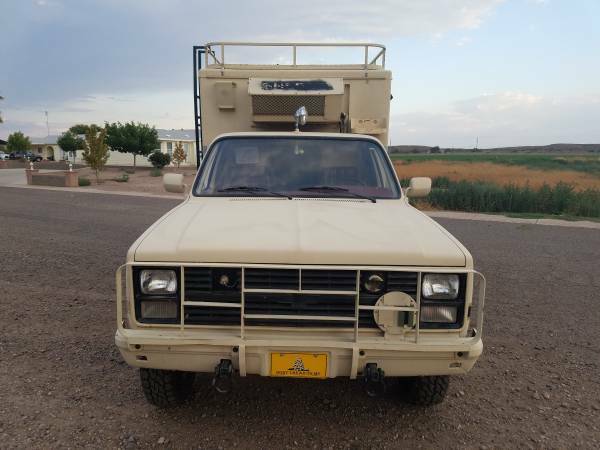 I did jam a stick in the sidewall a few months ago while on a desert drive and ruined one, so I replaced it with a brand new tire and it only has about 60 miles on it currently. 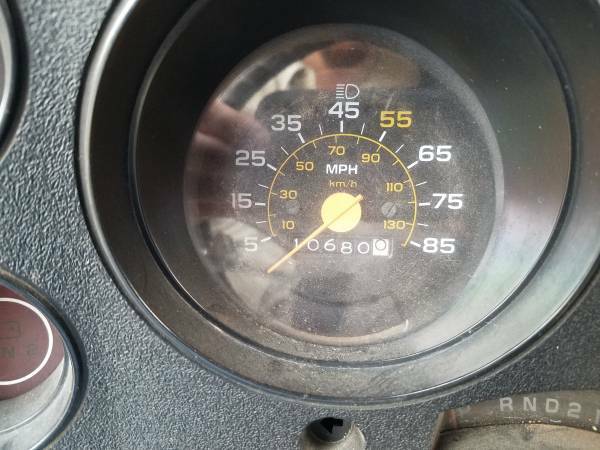 Truck runs great with plenty of power and gets good fuel mileage. 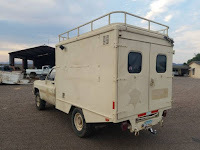 I have used it to tow my Polaris Ranger crew cab ATV up to the mountains, loaded with camping\hunting gear and it did great and was able to maintain speeds on the flats, and tow great up the hills with no problem. Best part of the truck is the miles. This truck was 1st used by the military and was then sold to Greenlee County Sheriffs office and was used as a Search and Rescue rig, but it was not used much. It only has just over 10,000 original miles! When you drive it, you will know it too. All the weather stripping and door seals don't leak while driving down the road. Very tight and well cared for truck. It simply wasn't used much and led a pampered, easy life. As mentioned above, the cabin box is insulated and very comfortable in both hot and cold. The original diesel fired heater has been taken out to make room for storage, but it still has the A/C unit. For heat, I used a propane heater. The A/C unit is fully charged and blew cold. Last trip I went on the fan quit blowing and I haven't looked into it to see what the problem is. But it did work and does not need the Freon charged. All the light work in and out. Doors lock securely. It also has a heavy duty Class IV hitch for towing as well as a brake controller. The roof has been converted to a heavy duty look out or storage area with a very sturdy ladder. Professionaly done. A lot of work has been done to make this rig more useful and functional. 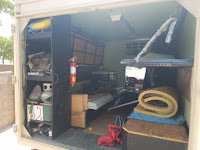 INTERIOR: Its no frills like the military ordered it. But the upholstery is like new and the door panels are mint. 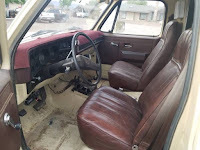 The interior has been lined so its easy to sweep or clean out. 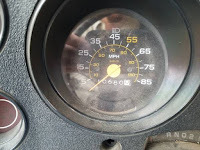 The dash top has cracks from sitting in the AZ sun its whole life, but you cant tell with the dash mat. Even with that one issue, I give the interior a 10 out of 10. First aid kit and fire extinguisher included. EXTERIOR: The paint job is awesome and extremely durable. It was done right and professionally with no expenses spared. You can see where Greenlee county had their decals on it, but they never bothered me. my intentions were to do a cool camo paint job, but never got around to it. EXTRAS: I have an extra spare tire for a total of 2. A few Misc parts. and Factory military service manual.